Pootles Kit Week #6 – All Boxed Up Kit! 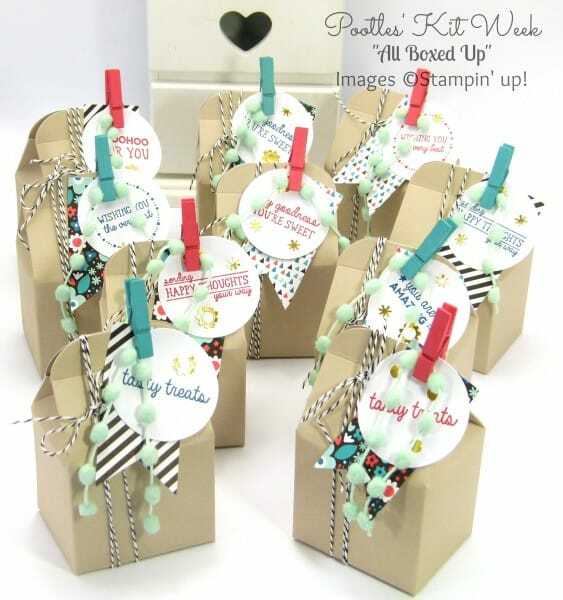 As you know, I’m a box making girl and love to make my own boxes and bags in specific sizes for my requirements, but even a girl like me can’t help fall for a kit that makes such lovely boxes. I will be the first to say that if you’re needing a lot of something, then if you can find a kit great, otherwise, you’re into mass production line territory. 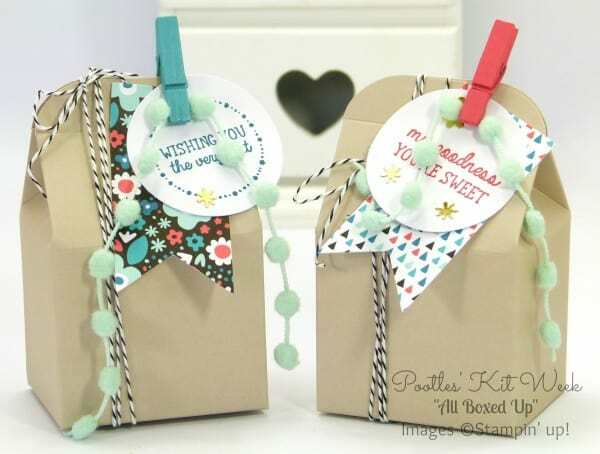 And again, while I do that without issue throughout each month when I’m making large numbers of cards and gifts for people, this is a great kit to scratch the crafting itch that I mentioned on Monday! I love the little pom pom accents (thank goodness I didn’t have to make these) and am definitely going to CASE the decorating for some of my own designs! Can you make a version of this box with a similar bottom? I absolutely adore your milk cartons though it might be kind of neat to be able to store a finished version flat without having to pry the bottom open.